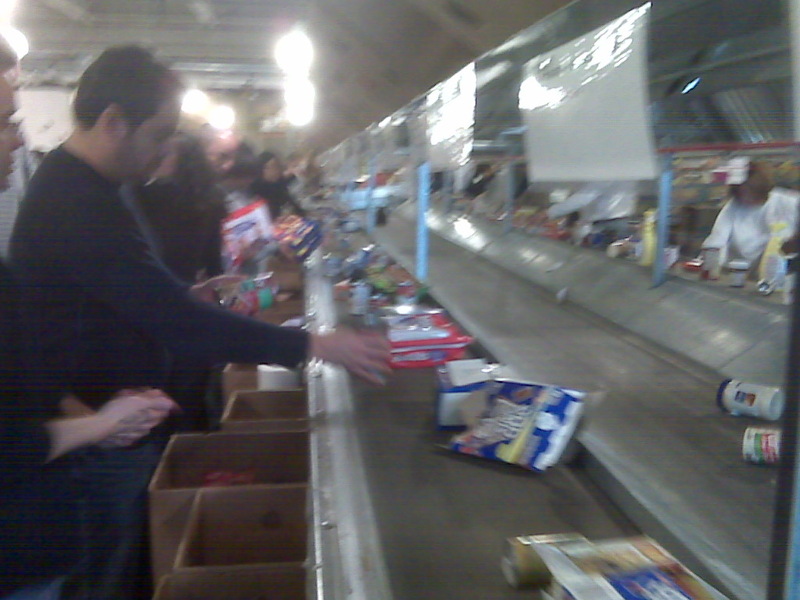 Yesterday I had the opportunity to volunteer with a group at the Greater Boston Food Bank. After spending some time on the production line, and given the past weekend celebrating Martin Luther King, the group was asked to reflect on what Martin Luther King might have done in light of what we had seen and experienced, at the Greater Boston Food Bank as well as the larger set of social issues that we are exposed to in our daily lives. 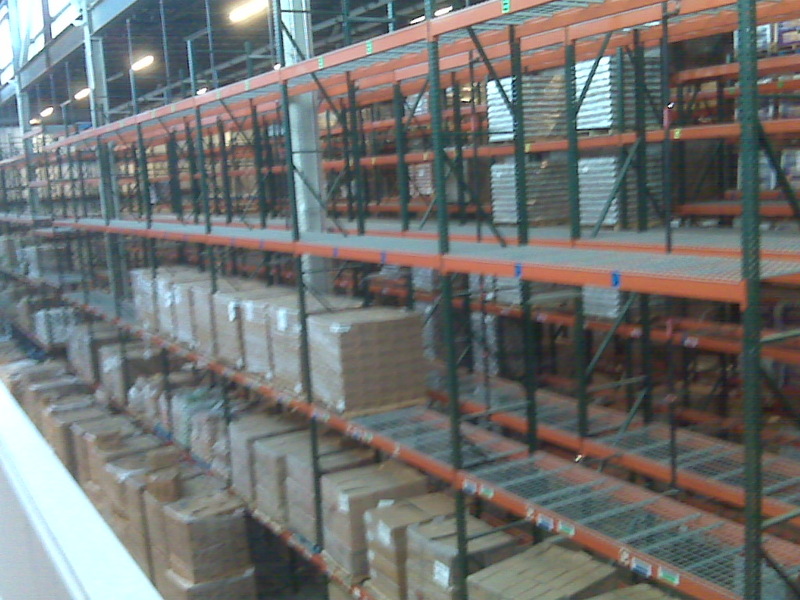 When I walked into the Food Bank my first reaction was of absolute awe at the size of the facility. My next thought was “Damn this is one big problem that we are trying to address.” For me, the facility in some ways quantified and solidified the abstract notion of pervasive hunger more concretely than words or other images could have ever done. Over 117,000 sq. feet in size, distributing over 30 million pounds of food a year to over 600 hunger relief agencies. Yet in reacting to the size and scope of the issue and the impressive response, both in dollars and goods, I still had this nagging thought that this was the tip of the iceberg – the symptom not the cause. The issues of hunger, poverty, health and others facing society are pervasive around the world. The problems are complex and the causes intricate. Every day hundreds of well meaning folks rush in to address some aspect of these problems. As one of the group observed, there is a proliferation of non-profits, both old and new, trying to tackle similar issues. Yet is difficult to say ‘Stop, don’t do this’ as we know that even with the existing disparate efforts, the problems are not going away. The easy approach is to react to the immediate need – feed the hungry, clothe the poor, shelter the homeless. It is instant gratification for an always on society. Write that check and feed a family for a week! It makes one feel good. Tackling the true causes of these issues is long, hard and complex work and something that may not pay off for years. It requires strategic thinking, vision, commitment and coalition building. I think this hits the nail on the head for non-profit leadership. We need leaders in the non-profit space that, like MLK, have the long term vision, the ability to lead organizations to address the core societal issues, to build coalitions across constituencies, and to persevere against all odds. I feel unless leaders step up to this larger role, unless we nurture a generation of new leaders who are willing to tackle the bigger risks and challenges, we will continue to go down a path where we are building bigger warehouses and distributing more turkeys into the future. This entry was posted in Leadership, non-profit, Philanthropy, Politics, Poverty, Service, Social Ecosystem, Social Entrepreneur, social Innovation and tagged Community service, hunger, martin luther king, mlk, non-profit, Philanthropy, Poverty, Rosabeth Moss Kanter, Service, Social Entrepreneur, Social Impact, social Innovation. Bookmark the permalink. I totally agree with you that people need to take the long term approach to alleviating poverty — which is why I’m such a huge advocate/believer in microfinance. Thanks for your insights Drew. One site that I have written about previously that you might want to check out is http://www.unitedprosperity.org/ Unlike other online donation/microloan sites, United Prosperity provides loan guarantees to enterprising entrepreneurs in developing countries. By providing guarantees to microloans, it allows your dollar’s impact to multiply – 2X to 4X depending on the institution they guarantee.